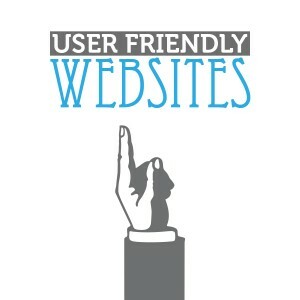 Having a user friendly website is as important to today’s small businesses as having crack customer service. Sadly, in pursuit of having a killer design, many companies overlook the functionality of the site and instead get swept up in something that looks great. While looking great is important, making sure you hit the right combination of beauty, content and functionality is what will keep customers coming back for more. Long story, short – a usable website will draw and retain readers, making them far more likely to become paying customers. So you’re probably asking yourself ‘OK great, but what makes a user-friendly website?’ That’s what we’re here to answer today. Let’s jump right in. Some folks might say that navigation might be the MOST important key to a user-friendly website. After all, if users can’t find what they’re looking for quickly and easily, then you can bet they’ll leave in search of a website that does. The most important thing to remember is that you need to put yourself in the shoes of your users. If you were looking for your product, where would you go first? Be sure to have crystal clear menu tabs, search tools and to keep the number of drop down menu items to a minimum. Simply put, if your content isn’t easy to read, compelling and clear, you’ll lose business. But making sure it’s written really well is only half the battle. Why? Because people read differently online. They scan, rather than read, actually. In modern design, content is design and design is content. If you take nothing else away from this tidbit, then remember this: Color, Font, Formatting. Not only should content look good, but it should be structured well, in a font that looks great and in a color that doesn’t make your skull explode. Hit those pieces and you should rope in a lot more business off your website. Nothing – and we mean NOTHING – stinks worse than having to wait for page after page to load. Given the pace of today’s high-speed internet options, there’s no excuse for your website to take forever to load. If it’s not loading almost instantly, you’ll lose business. Mobile devices are overtaking desktop computers as people’s primary means of accessing the internet. That means if you’re not there, you’re losing a lot of money. The bottom line is that if your customers can’t access your site on the go, then it’s awfully hard to call it user-friendly. The good news here is that most websites built today are done so with some sort of mobile responsive programming. Just be sure that if you don’t have it already and are looking to invest in a redesign, that mobile responsiveness is one of your biggest priorities.